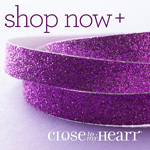 I love this video from Close To My Heart (CTMH) featuring all the neat things you can make to give as gift. Any handmade gift is a gift from the heart. CTMH provides products and ideas to help you take that special thought and create wonderful gifts! Enjoy watching! Contact me with any questions or to schedule your class to learn to use these products. I really like “My Sunshine”, the April Stamp of the Month (SOM). Because it coordinates with the Artiste Cricut Cartridge, it makes creating that much more fun and did I mention, easier?!?! So add a little sunshine to your life and get this set today!! Join Me, Join the Fun!! Today is the day to join my team and celebrate the love of creating with Close to My Heart Products!! Learn about my story ,and our great consultant kit!! Ready to Go???? Join Today!!! I’ve just learned about listicles. A list of 10 things….the topic can be anything and everything! It’s been to read and learn about them. So in the light that it’s Easter today, I made my very first listicle about why I’m grateful about Easter! 10) Grateful that I have the gift of Salvation through Jesus! I created this layout with the April Stamp of the Month: S1304 My Sunshine and our wonderful Chantilly Papers! It’s bright and happy which is how I feel today!